Devasting economic effect in local communities by detaining and deporting a non-criminal undocumented taxpayer. U.S.A. – Each non-criminal undocumented immigrant detained and later removed from a community will create an economic gap of about $25k to $50k in earned income including personal, sales tax, consumption of goods and property tax generated loss annually. 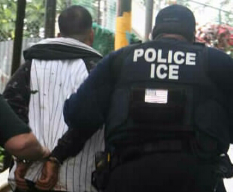 Also, it will cost the state and the U.S. government approximately up to $10K or more in deportation costs including holding the undocumented inmate at a local county jail or Private Prison Corporations (PPC), which costs between $130 to $330 per day to hold at a PPC, in addition immigration court costs and flight costs to country of orgin.Obama during the end of his term attempted to phase out private prisons when contracts expired, but Trump’s U.S. Attorney General Jeff Sessions recinded that memo and is promoting to continue to contract with PPCs. According to a 2015 report by the Council on Hemispheric Affairs, PPC’s earned $3B for holding ICE detainees. An estimated 34,000 of undocumented immigrants are incarcerated daily costing about $159 each to hold. So, the U.S. economic stability in some urban and rural communities, which depend on undocumented labor including farm and dairy workers are faced with a loss of workers that can’t easily be replaced once removed by the Trump’s ICE initiative. Does Trump and his administration know that every non-criminal undocumented immigrant removed from the local and the U.S. economic system has a long lasting effect in the areas from which removed? • Undocumented workers in Texas pay $11.6B annually in taxes, according to the Institute on Taxation and Economic Policy. • In 2014, Stephen Goss, the Chief Actuary of the Social Security Administration told Vice News that in the last decade, an estimated 11M undocumented immigrants reside in the U.S. and about 7M are unauthorized workers and 3.1M of those worked with fake or expired Social Security numbers and paid automatic payroll taxes to the federal government. In 2010, a $13B annual net contribution was made to the Social Security Trust Fund. Sendejo Sr. operated the popular Johnny’s Yellow Rose Tavern and Hall in Milwaukee”s Southside and Johnny’s Club Carnaval in Bay View, which had a Tejano and a variety music venue. 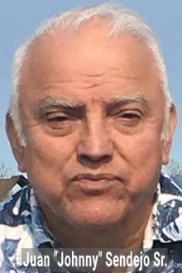 In memory of Juan “Johnny” Sendejo Sr., 66, former owner of Johnny’s Club Carnaval on Kinnickinnic Ave. in Bay View and the Johnny’s Yellow Rose Tavern and Hall at 2325 S. 13th St. in Milwaukee, WI who passed away on Saturday, February 25, 2017 around 4:00 p.m. surrounded by family and friends. Sendejo Sr. originally from Crystal City, Texas was also an avid deer hunter and enjoyed the yearly Crystal City Spinach Festival in November. Sendejo Sr. was also a longshoreman for 39 years. He will be missed by friends and love ones. May he RIP. Visitation on Friday, March 3, 2017, 9:30 a.m. to 12:15 p.m. at the Holy Trinity of Our Lady of Guadalupe Church located at 613 S. 4th St. in Milwaukee, WI. Mass of Christian Burial at 12:30 p.m. Interment at St. Adalbert Cemetery at 3801 S. 6th St. in Milwaukee, WI. Las siguientes son las estadísticas sobre la estructura de los latinos económico, la población y la potenciación del gasto en el lado sur de Milwaukee y en el estado de Wisconsin. • La Oficina del Censo de Estados Unidos informó en marzo de 2010, que la población hispana en el estado de Wisconsin creció un 74%, 336.056, un aumento de 143.135 desde 2000. Los hispanos ahora representan el 5,9 por ciento de la población total de Wisconsin. La población hispana en el Condado de Milwaukee aumentó en 126.039 y la población hispana del Condado de Dane creció en 28.925. La ciudad de Milwaukee vio un aumento del 40%, 103.107 en la población hispana, y vio una pérdida de 6%, pasando de 605.013 a 594.833 de la población que actualmente residen en la ciudad, de acuerdo con el censo de 2010. En comparación con un informe del censo en 2009, que la población hispana aumentó alrededor del 48%, 285.827 o el 5,1% de la población en el estado. Condado de Milwaukee vio un aumento del 39%, 114.238 o el 12% de la población, el condado de Racine vio un aumento del 35%, 20.262 en la población. Waukesha vio un aumento del 42% de los 13.458 de la población. Ozaukee Condado vio un aumento del 58% de los 1.669 en la población y en el Condado de Washington, un aumento del 76% con 2.693 en la población. • Los funcionarios del censo de Estados Unidos informó que 50,5 millones de hispanos se contaron en 2010, el 16,3% de la población total de Estados Unidos y un crecimiento del 43% desde el año 2000. • En 2014, Stephen Goss, Actuario Jefe de la Administración de la Seguridad Social dijo Vice La noticia de que en la última década, se estima que los inmigrantes indocumentados 11M residen en los EE.UU. y alrededor de 7 millones son trabajadores no autorizados y 3.1M de los trabajado con números y Seguridad Social falsos o caducados pagaron los impuestos de nómina automáticas para el gobierno federal. En 2010, se hizo una contribución neta anual de $ 13, al Fondo Fiduciario de la Seguridad Social. The following are stats about Latinos economic structure, population and spending empowerment in the South Side of Milwaukee and in the State of Wisconsin. • A city economic study reported that the South side households in the predominately Latino community located inside Postal Zip Code 53204 in Milwaukee spend more than $91 million annually in retail goods, according to the 2006 Department of City Development statistics. In one day, they spent approximately $249,315.06. The biggest tax-generating base for the city comes solely from the South side that includes the 8th, 12th, 14th Aldermanic Districts. In addition, businesses in the Southside where the predominantly Latino community resides in the 12th Aldermanic District have to pay a 5.6% sales tax for final sales and services, also revenues for the City of Milwaukee are generated by fees for licenses, service fees and city fines for violations as well as overnight parking violation fines. • In 2013, the U.S. Census reported that Wisconsin had 6.34% of Hispanic population compared to 6.26% of the Afro-American population showing Latinos have become the fastest growing population in the state. • The U.S. Census Bureau reported in March 2010, that the Wisconsin Hispanic population in the state grew by 74%, 336,056, an increase of 143,135 from 2000. Hispanics now account for 5.9 percent of Wisconsin’s total population. The Hispanic population in Milwaukee County rose by 126,039 and the Dane County Hispanic population grew by 28,925. The City of Milwaukee saw a increase of 40%, 103,107 in Hispanic population, and saw a loss of 6%, from 605,013 to 594,833 of population now residing in the city, according to the 2010 census. Compared to a census report in 2009, that the Hispanic population rose about 48%, 285,827 or 5.1% of the population in the state. Milwaukee County saw an increase of 39%, 114,238 or 12% of the population, Racine County saw a 35% increase, 20,262 in population. 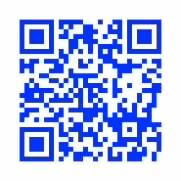 Waukesha saw a 42% increase of 13,458 in population. Ozaukee County saw a 58 % increase of 1,669 in population and in Washington County a 76% increase with 2,693 in population. • U.S. Census officials reported, that 50.5 million Hispanics were counted in 2010, 16.3% of total U.S. population and a 43% growth since 2000. Latinos and community members in Milwaukee announced that Movimiento de Inmigrantes en Acción has been registered with the feds and State of Wisconsin as an LLC. 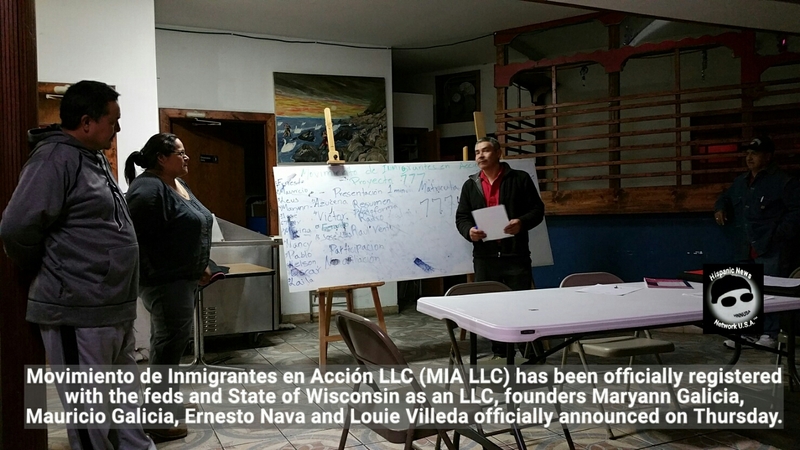 Milwaukee, WI – On Thursday, the founding members of the Movimiento de Inmigrantes en Acción LLC (MIA LLC), Maryann Galicia, Mauricio Galicia, Ernesto Nava and Louie Villeda officially announced that MIA has been been registered with the feds and got their federal tax number as an LLC, it was also registered with the State of Wiscosin as well for the purpose to empower the Latino community and built a united voice including leadership among those participating. MIA LLC will have 13 Board of Directors who will work to make sure the funding and its operation are transparent to the community who they will serve, according to Nava. A bank account has been set up with Associated Bank to begin to generate funds as an LLC to operate and launch their community based agenda. For those interested to send a donation, people can send funds to MIA LLC routing and account number 075900575 2173587 777 or stop at any Associated Bank in the U.S. and deposit any funds to help support the group. Raúl Ventura Ortiz, radio commentary host for Radio Latina 5.0 also announce on Friday that he will conduct a radio broadcast to help collect funds for the group on Friday, March 3, 2017 beginning at 5:00 p.m. to midnight. People who want to stop by and donate to MIA LLC can also stop at the broadcast station Radio Latina 5.0, 1500 AM Radio located at 1220 Grand Ave. in Waukegan, Illinois during the live programming, according to Ventura Ortiz. MIA LLC is a unique community base organization dependent on community imput and collaboration with other groups in the Milwaukee area and nationally who are dedicated to empower the community and create leadership among members of the community including the youth. MIA LLC will address issues through active community membership participation and discussions for the purpose to achieve equal access to justice, immigration reform, community safety, education and support of DREAMers. The project model is known a 777, which a membership fee of $7.77 will be accepted to generate community funding for tactical and strategic spending to promote the goals of set organization. For more information, anyone interested in participating in the empowerment of their community through civic action is invited to attend a gathering on Wednesday, March 1, 2017 at 5:00 p.m. at the Gran Teocali, 2011 W. Forest Home Ave. in Milwaukee, WI. Special guest will be Raúl Ventura Ortiz, radio talk host for Radio Latina 5.0., 1500 AM Radio, which has a listening audience of more than 500,000 on a combine coverage in Facebook, social media and Internet programing in the U.S., Mexico, South and Central America. Protesters against Trump’s advocacy for hate, racism and bigotry held a rally and a march in Milwaukee. Milwaukee, WI – On Monday, hundreds of people gathered at Zeidler Union Square Park to hold a rally on “Not My President Day” and then marched to U.S. Senator Ron Johnson’s (R) office at the federal courthouse. One of the speakers, Ana Dvorak, a community organizer for Citizen Action of Wisconsin spoked against the GOP repeal of the Affordable Health Care Act. Dvorak told the crowd that the Republicans, Trump, U.S. Senator Ron Johnson, U.S. Representative Paul Ryan were playing with people’s lives by trying to repeal Obama Care, but “if we fight back, they won’t be able to kick 30M people out of the health coverage. We are the richest country in the world and if we can afford to cut millions or billions of tax dollars for the wealthy, we can afford to cover all” in health care. Another speaker, Lus Sosa, Milwaukee Area Technical College (MATC) educator from the American Federation of Teachers (AFT) Local 212 spoked about education and how important is education for democracy and recognized those gathered at the event as a coalition of different groups. Sosa stated, as a group, “together we rise, together we rise, together we rise. Trump picked Betsy DeVos as Secretary of U.S. Education and the reason he did it, is because he wants to undermine our democracy. As you know public education is essential to democracy and we need to make sure that all public schools are well funded.” Sosa urged those gathered at the event to vote on Tuesday and every election forthcoming to make a difference. “We need to vote for champions for public education,” Sosa said. Sosa publicly endorsed Dr. Tony Baez for the Milwaukee Public School Board 6th District and Larry Miller for the Milwaukee Public School Board 5th District on the April 4th Spring Election. One of the organizers, Juan who claimed that he was an undocumented immigrant spoke about immigrant rights and against Milwaukee County Sheriff David Clarke Jr.’s decision to join 287g ICE Program, which allows designated sheriff deputies to enforce federal immigration laws. Jorge also told the crowd to stand up against Trump’s White nationalists and neo-Nazi agenda in the U.S.
After the rally, the protesters against Trump marched to U.S. Senator Johnson’s office at the federal courthouse where various speakers from the Muslim community spoke as well as from the group PODER. Currently, Trump is calling for 10,000 additional ICE agents to be hired and mass deportations will also include non-criminal illegal aliens that could target at least 8M undocumented immigrants in the U.S.
Also, the Mexican Consulate in Milwaukee reported that Mexican nationals are seeking dual citizenship for the their U.S. born children just in case, the parents get deported and their children can also accompany them to Mexico, so the children can be allowed to stay in Mexico as well. The State of Michoacán continues with the same state of affairs and no effective plan to restore security, jobs and economic stability as promised by Governor Aureoles Conejo during his campaign for the governorship. 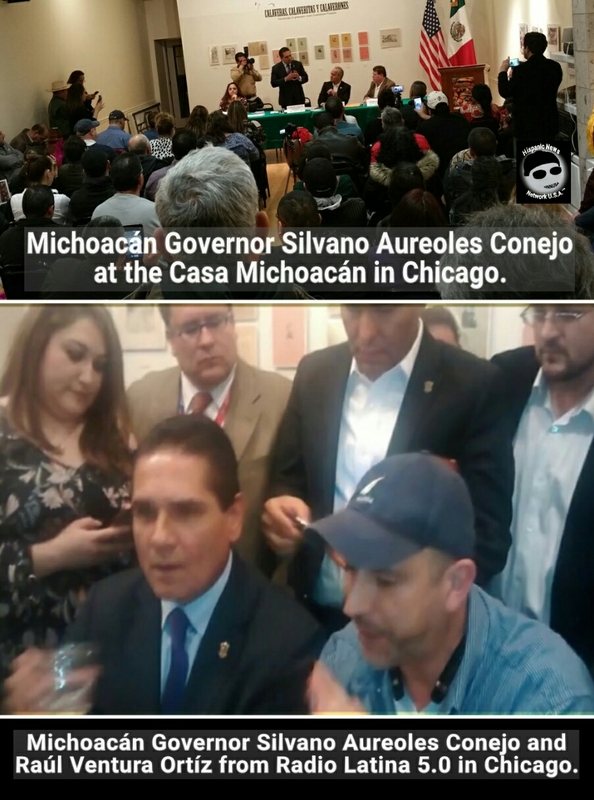 Chicago, Illinois – On Wednesday, Silvano Aureoles Conejo, the Governor of Michoacán was in Chicago to make a presentation about the State of Michoacán at the Casa Michoacán and to engage in a dialogue with immigrants from the state residing in the Chicago area. Governor Aureoles Conejo told those Mexican nationals from the State of Michoacán that he is working to provide legal assistance for those trying to get legal status and for their rights to be respected by U.S. officials under a 10 point plan by his state government. During a brief planned interview after the event by Raúl Ventura Ortíz from Radio Latina 5.0, Governor Aureoles Conejo became upset when he was asked about a lack of an economic and security stability plan in the state and why was he protecting or doing nothing about allegations that the Michoacán State Presecutor José Martín Godoy Castro was associated with organized crime. Governor Aureoles Conejo responded that Ventura Ortiz had misinformation provided by criminals and that he needed psychological help, which Ventura Ortiz responded that he actually had factual information. Governor Aureoles Conejo became uneasy about being questioned for his lack of installing an economic and security stability plan as he promised during his campaign before getting elected as governor, but after 16 months in office, he lacks any workable and sustainable economic plan for Michoacán. Governor Aureoles Conejo also attempted to disrupt a video live recording being transmitted by members from Radio Latina about the interview, which has gone viral on social media. According to Ventura Ortiz who is originally from Michoacán, the State of Michoacán is actually worst today with a proliferation of crime, drug cartels, narco-state government, murders and corruption that is plaguing the state government under Governor Aureoles Conejo. Governor Aureoles Conejo is touring the U.S. and trying to promote a positive outlook for Michoacán that is working for Mexican nationals from the state who continue to send money to families. Michoacán Mexican nationals from the U.S. send about $1,750M of money transfers to the state, which the State of Michoacán collects 25% to help offset the poverty index in the state. But Ventura Ortiz says, the State of Michoacán is worst today with more than 54% of the poverty rate of the population under Governor Aureoles Conejo who has failed to implement an economic and security plan as promised.